In 2014, thousands shared a Coke with their names on them. The movement was a huge success, but we realized we missed a Coke for those who couldn’t see their name written. There was no brief. 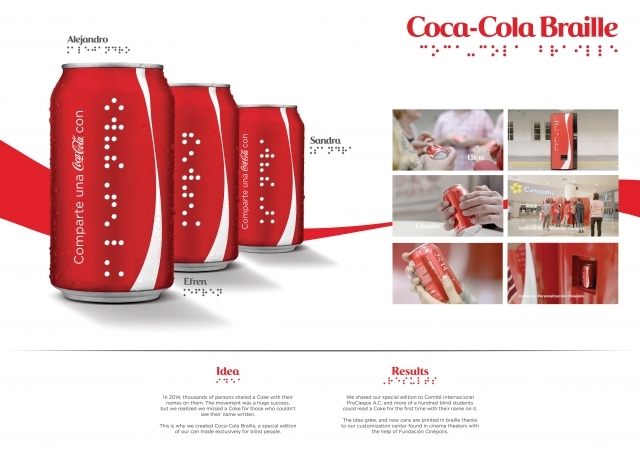 This was not a petition from our client, this was an idea we developed together with one objective in mind: Share the happiness with people that, even if they can't see their name, they could feel it for the first time ever in a Coca-Cola Can.